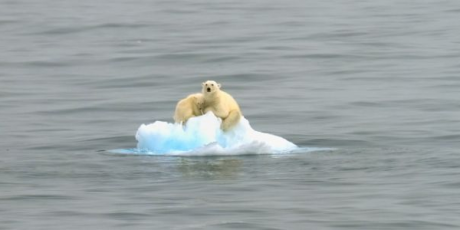 Avaaz - 3 days to save our dying planet! 3 days to save our dying planet! As concerned global citizens we urge you to stand with Africa and face down the USA and other countries looking to wreck climate talks and our planet. We call on you to save and strengthen the Kyoto Protocol and work together to agree a more ambitious legally binding deal no later than 2015. Our climate is in crisis, our future depends on your leadership now. Our oceans are dying, our air changing, and our forests and grasslands turning to deserts. From fish and plants to wildlife to human beings, we are killing the planet that sustains us, and fast. There is one single greatest cause of this destruction of the natural world -- climate change, and in the next 3 days, we have a chance to stop it. The UN treaty on climate change -- our best hope for action -- expires next year. But a greedy US-led coalition of oil-captured countries is trying to kill it forever. It's staggeringly difficult to believe: they are trading short term profits for the survival of our natural world. The EU, Brazil and China are all on the fence -- they are not slaves to oil companies the way the US is, but they need to hear a massive call to action from people before they really lead financially and politically to save the UN treaty. The world is gathered at the climate summit for the next 3 days to make the big decision. Let's send our leaders a massive call to stand up to big oil and save the planet -- an Avaaz team at the summit will deliver our call directly. Sign the petition on the right!